While some find doing laundry to be relaxing, others find it mundane and time consuming. Regardless of how you see it, doing laundry is a necessary job. 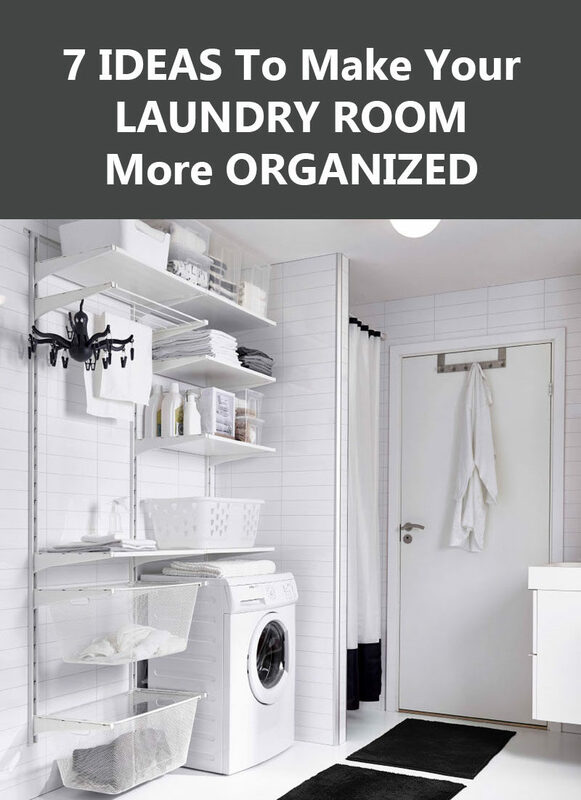 And, to help make it more enjoyable for everyone, we’ve come up with 7 ideas that will help you organize and arrange your laundry room situation so that you can cut down on the amount of time you spend washing, drying, and hanging. This shelving unit is customizable with racks and shelves that can be placed at multiple levels depending on what you need to have easily accessible. 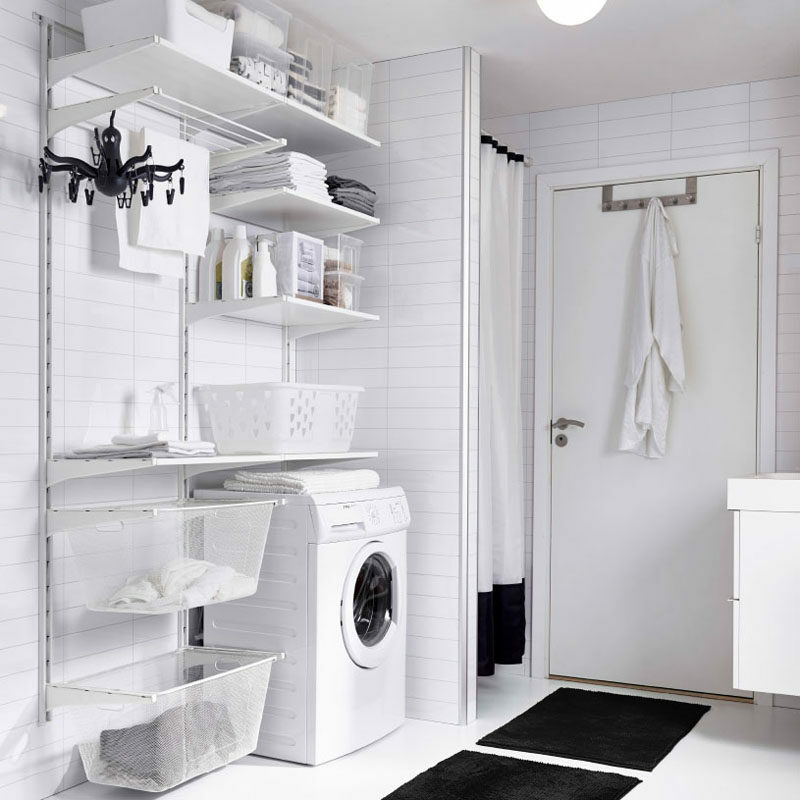 It’s also a great option in smaller spaces where you’ll really benefit from being able to use the space above the washer and dryer. 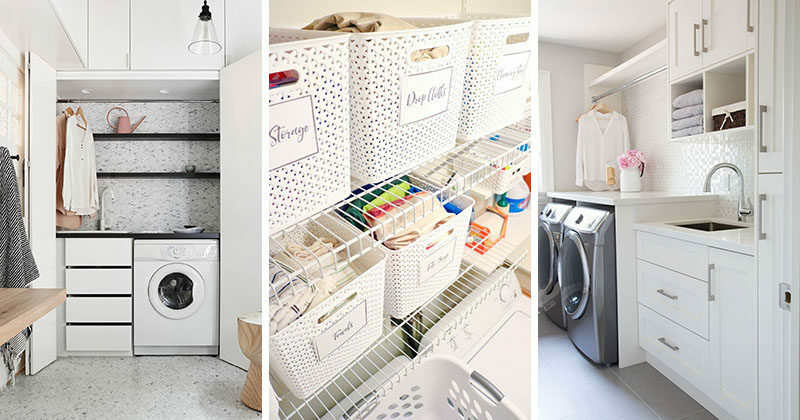 If you lack the space to be able to dedicate an entire room to your laundry, consider putting it in a closet. It makes it easier to conceal, takes up much less space, and lets you keep all your cleaning supplies in the same convenient spot. Designed by NORTHBOURNE Architecture + Design. Photography by Eve Wilson. 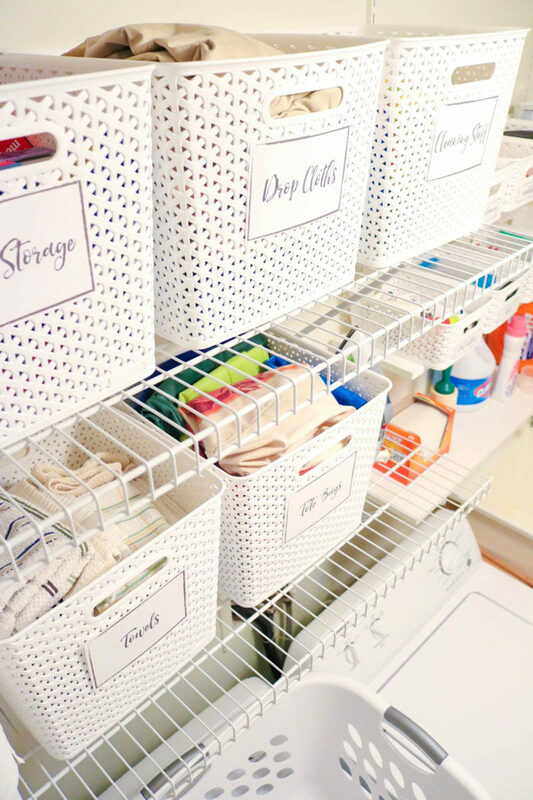 There’s no easier way to stay organized than with everything labelled and in its place. With containers clearly labelled, you’ll always know where everything is and when it’s time to stock up. If you have tall ceilings, make use of that space with hanging racks. 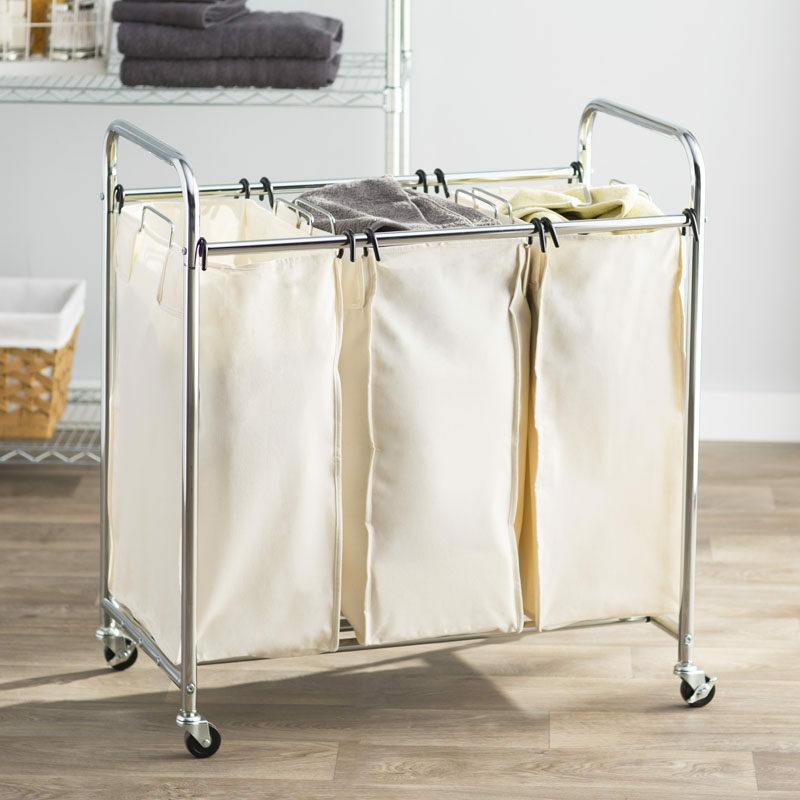 It’ll allow your laundry to air dry faster and keeps your clean things off the floor. It seems that nearly every time a load of laundry goes through the cycle, there’s one sock that gets eaten during the process. 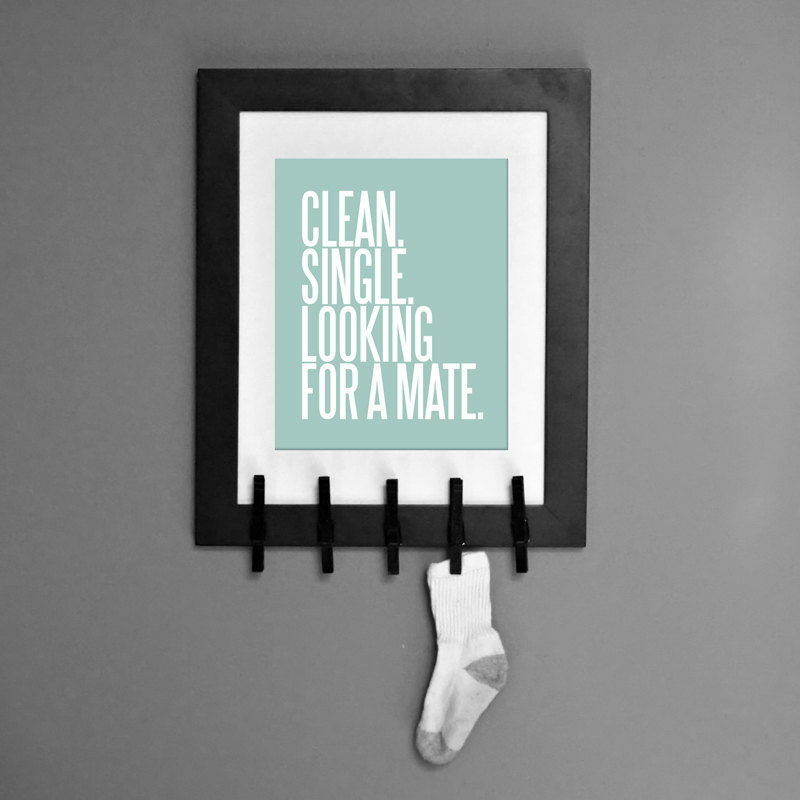 It usually turns up later, but until it does, keep the other sock in a place where you’ll be sure to find it. If a permanent hanging rack isn’t possible in your space, a foldable one may be a better solution. When they aren’t in use they hardly take up any space, they’re a great way to save on energy bills and they let you air dry your clothes even on rainy cold days. 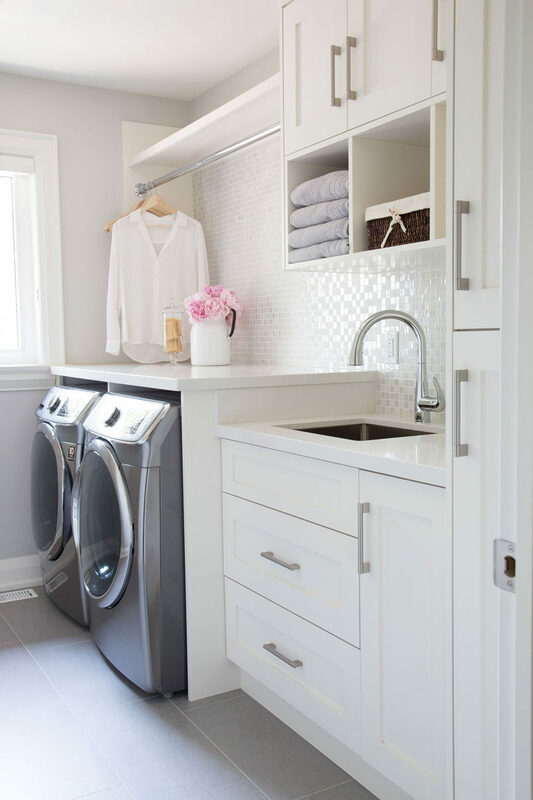 Minimize the amount of time you have to spend in the laundry room by pre-sorting your laundry. A three-in-one hamper easily lets you toss colors in one bin, darks in another, and whites in the last, making it easy to dump in a load and get on to the next thing.